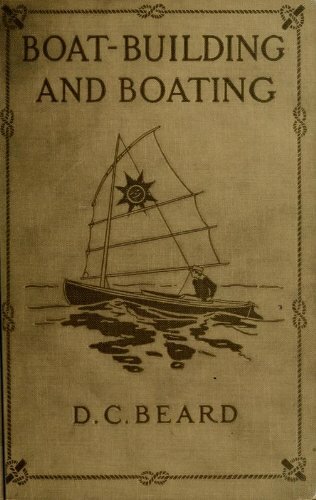 This is not a book for yacht-builders, but it is intended for beginners in the art of boat-building, for boys and men who wish to make something with which they may navigate the waters of ponds, lakes, or streams. It begins with the most primitive crafts composed of slabs or logs and works up to scows, house-boats, skiffs, canoes and simple forms of sailing craft, a motor-boat, and there it stops. The book is approaching the problems of ships stability loss through the study of operational aspects as well as dynamic ship behaviour in severe conditions offering a picture of some stability failure modes that are not covered by any regulations. May this book add its mite to a knowledge of the gradual evolution of shipbuilding; may it also cause to disappear this ridiculous way in which ancient ships used to be represented and, most of all, may it awaken the love for the building of ships. This text book is an attempt to provide a comprehensive treatment of hydromechanics for offshore engineers. The treatment of the selected topics includes both the background theory and its applications to realistic problems. Tutorial describing the mathematical tools used in the modeling of Sonar transducers and arrays. Topics include The Acoustic Wave Equation, Acoustic Array Interactions, The Helmholtz and Kirchhoff Integral Equations, Infinite Element Methods, etc.